Plus size dresses are an effort to make all those ladies feel beautiful who embrace their personality just the way they are, without following the trend of being slim. 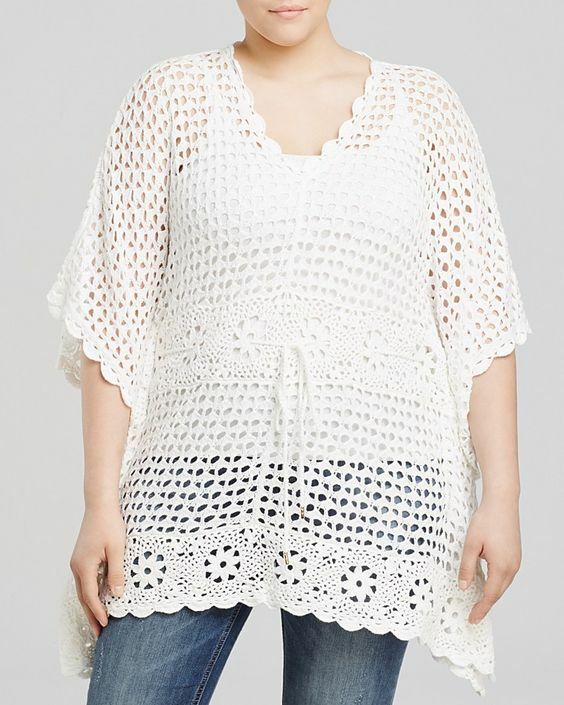 Plus Size Crochet Tops are classy and feminine. 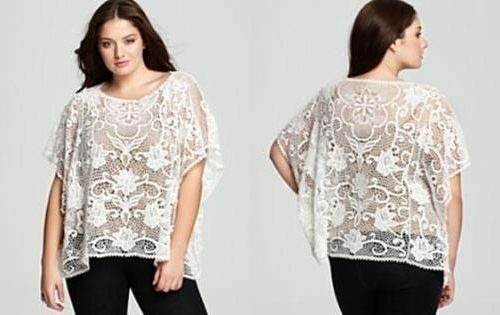 This plus size top range is a wonderful addition to your wardrobe. 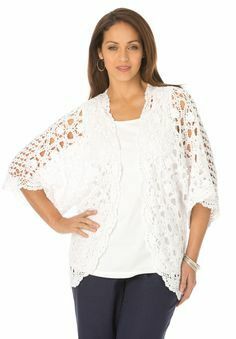 Plus size crochet poncho top, halter top, tank top and more designs are available to sport a cool look for the summers. You can choose from an array of colors from black, white, pink, red, greys, purple, and more. In winters you can go for the dark colors and choose light colors to beat the heat. Crochet Tops are an all-time favorite for summers. 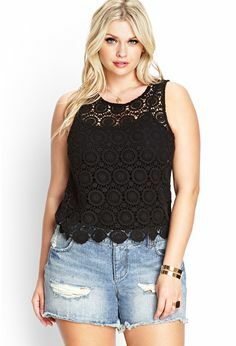 You can wear it the beach with short pants or team it up with jeans, denim. Long crochet tops can be worn with hot pants too. These classy outfits conceal problem zones of your figure while highlighting the beautiful features you are blessed with. Wear a simple neckpiece with these tops and go cool with some casual totes. XL Sizes in Crochet Tops are available with lace, fringes and ruffled sleeves too. So ladies! 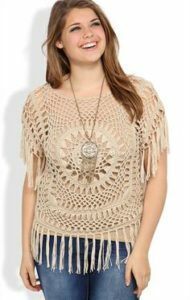 Go stylish today with your plus size crochet tops!